World Environment Day has just gone by, and it has left many of us wondering what we can do on a personal level to make a change. Well, we have just the thing you need – reusable, eco-friendly straws. These may not seem like much, but making this small change will significantly decrease the amount of waste you are contributing to. There are a variety of eco-friendly straws available, and it can be hard to know the differences between them. 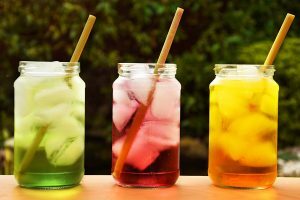 To help make the selection process easier, in this article we shall discuss how you should choose an eco-friendly straw, and also give you a list of the top 5 best eco-friendly and reusable straws you can buy online. When buying straws, we don’t usually pay attention to them as they’re for one-time use anyway. 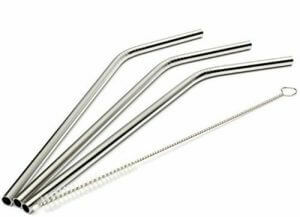 However, if you have reusable straws, then, as the name suggests, you can reuse them multiple times. There are a few things you need to keep in mind when buying reusable and eco-friendly straws though. Reusable straws can be made of various materials, and each material has its own advantages and weaknesses. 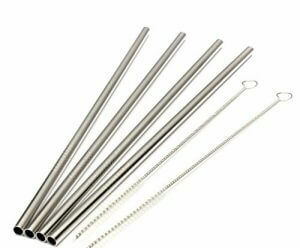 Stainless steel straws are easily available, do not break easily, and last for a really long time. Therefore, they’re great for those who not only want to use reusable straws at home but also when they’re out and about. They’re easy to carry, dishwasher safe, and are better for those who want to use them with cold beverages. However, since you cannot see the inside of these types of straws, they may seem difficult to clean. They also alter the flavours ever so slightly, so if you’re particular about that, then you should opt for glass ones instead. Since glass straws are transparent, you can easily check whether they’ve been properly cleaned or not. Furthermore, glass does not stain or retain smells, so it is the easiest material to clean; just cleaning the straw with hot water does the job most of the time. They’re also dishwasher safe, so you can put them in when you’re feeling lazy. You have to be more careful with these though, as they’re quite delicate, and break easily upon impact. They’re also not recommended for children as they are breakable, and kids could hurt themselves with these. They are not the best choice for those who want to carry reusable straws with them either because they’re so fragile. Bamboo straws are the best choice for those who want to go all out and be almost 100% eco-friendly, because out of all the materials, bamboo is the one that needs the least resources to make, and when discarded, it turns into compost easily. Although, if you’re not a fan of doing the dishes, then this isn’t the right choice for you as bamboo straws need to be cleaned and dried properly, in order to prevent any mould from growing inside the straw and rendering it useless. Those who only drink beverages like juices, water, and other such thinner liquids should choose a straw with a smaller diameter as it makes it easier to drink the liquid without using as much effort. On the other hand, those who consume thicker drinks like lassi, smoothies and so on, should go for a straw with a bigger diameter to make sure it has enough space to let the liquid flow efficiently. Before you buy a straw, you must make sure that it is the right length for your cups, glasses, or mugs. Whatever utensil you use to hold your drink, you must measure it and check if the straw you wish to purchase is long enough to fit into it, because if the straw is too short, then it’ll sink into the liquid and become useless. If you only drink thinner liquids like water, juices, and carbonated drinks, then you won’t have much problem cleaning your straws with just water. However, if you drink smoothies, lassi, and other such thicker drinks regularly, then you should look for a set of straws that comes with a cleaning brush, so you don’t have to buy it separately. Let us now jump into our list of top 5 best eco-friendly and reusable straws you can buy online in India. Although it is a small list, we hope you’ll be able to find a product on this list that meets your needs, as well as your budget. 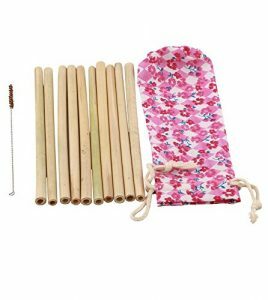 The only set of bamboo straws on this list, this product comes with a carry bag and a cleaning brush, which makes it easier to clean and travel-friendly. Since the diameter of this straw is quite small, we recommend it for those who usually drink thinner drinks. They’re also great for kids as they’re not as hard and dangerous as the others. Although these are 100% biodegradable, they’re not the most durable products, so if that’s what you’re looking for, then we would suggest a steel or a glass straw set. Aside from looking rough on the outside, they may contain splinters on the inside as well, so it would be a good idea to clean them once before use. 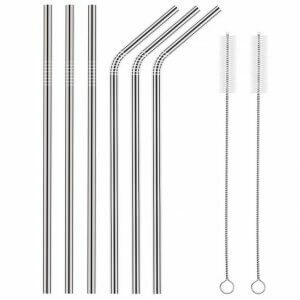 This set of stainless steel straws would be great for those who want a lightweight yet a sturdy option for thinner drinks. They come with 2 cleaning brushes, are dishwasher safe, and the length of these straws is also good enough for average sized cups, so you needn’t worry about any of those aspects. 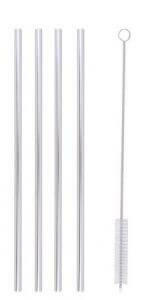 If you are someone who wants reusable straws for thicker drinks though, then these wouldn’t be the best for you. They’re also recommended for those who cannot always clean them in a few hours as these tend to retain smells, which can prove to be particularly problematic if you’re using them to drink cocktails. This set of stainless steel straws has made it to the top ranks because unlike may other stainless steel options, it has rounded edges, which makes it safe for children and elderly people as well. 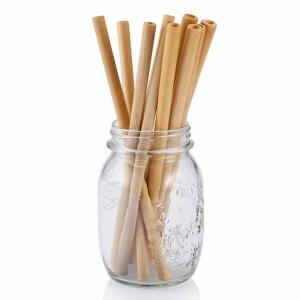 The straws are made of good quality, lightweight stainless steel that does not stain or retain smells easily. 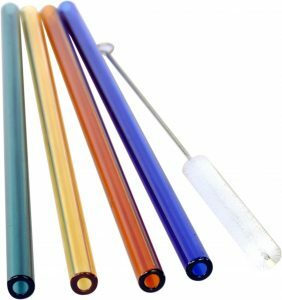 These straws are particularly recommended for those who want reusable straws to drink cooler and thinner drinks. It also comes with a cleaning brush, which makes it much easier to clean these brushes and makes sure that they last for a long time. 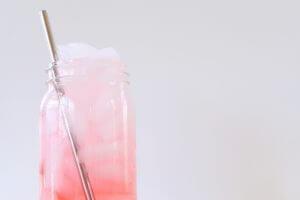 The only set of glass straws on this list, this includes a cleaning brush along with beautiful straws made of borosilicate glass, which is much more durable and stronger than other types of glass. Since these are made of glass, they can be used for both hot drinks, as well as cold beverages as they do not warm up easily. The diameter is big enough for thicker drinks, so those who like smoothies and lassi should also be able to use these without any problems. They’re all different colours, and therefore, they’re great for those who want to assign these to individual family members, so each member has their own personal straw. The best set of reusable and eco-friendly straws on the market, these are made of stainless steel and come with a cleaning brush that makes it much easier to clean them properly. 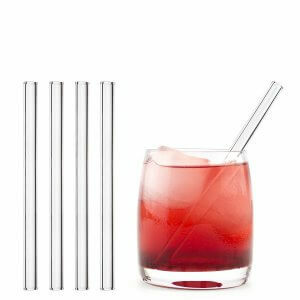 They are made of high quality, thick steel, that not only feels good but also makes the straws much stronger and sturdier in comparison to the rest. The length of the straws is perfect for average sized glasses, and the diameter is big enough for thicker drinks, but at the same time small enough to not make it hard to drink thinner beverages. The edges of these straws are rounded too, so children and elderly folk can use them too without any worries. Let’s all try to do our bit to help save the environment, and switching from plastic straws to reusable ones is one of the easiest ways to do that. Plastic straws may seem cheaper initially, but if you think about the cost per use, then you’ll realise that not only do the reusable ones help the environment, but they also help you save money! We hope after reading this article you feel confident enough to navigate through the world of reusable, eco-friendly straws, and you can properly differentiate between the various types. We also hope our list of the top 5 eco-friendly straws to buy online made it easier for you to purchase one and begin your journey towards a plastic-free life!